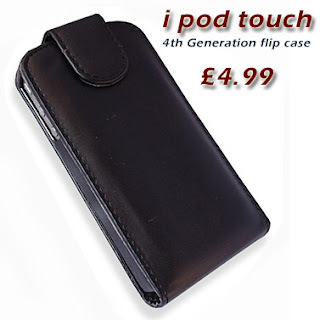 The ipod touch clips securly within the ipod case and is fitted with a magnetic strap that will keep your ipod screen covered when its in your pocket. The case is stitched and has a magnetic fastener to keep the case closed. Your iPod's expensive, right? You'd want to protect it, correct? Those gel cases come off in your pocket, but this one won't. It'll keep your machine looking good for longer. Furthermore, it was securely packaged when shipped, and arrived before the due date. And all for 5 quid - an absolute steal.